A native of Japan, Kaori Matsui completed her undergraduate and graduate degrees at the Shepherd School of Music under the mentorship of Paul Kantor. An avid orchestral musician, she has won the American Academy of Conducting at Aspen fellowship, toured Japan with the Pacific Music Festival Orchestra, and appeared at Carnegie Hall with the Shepherd School Symphony Orchestra and New York String Orchestra Seminar Orchestra. An enthusiastic performer of contemporary music, she has participated in various world premiers, including the American stage premier of Philip Glass’ “Kepler” at the Spoleto Festival USA. Kaori found her love for teaching when she served as a chamber music faculty in the Michael P. Hammond Preparatory Program at the Shepherd School of Music. Her first class was a group of three six-year-old students. Not only was it her first time teaching group class, but it was her first time teaching children as young as they were! Immediately she felt a great desire to learn more about teaching children and become more equipped to teach a broader range of students. This is how her Suzuki journey began. She became a Suzuki certified Book 1 teacher under the training of Carrie Reuning-Hummel, Book 2 and 3 under Marilyn O’Boyle, and Book 4 under Rolando Freitag. 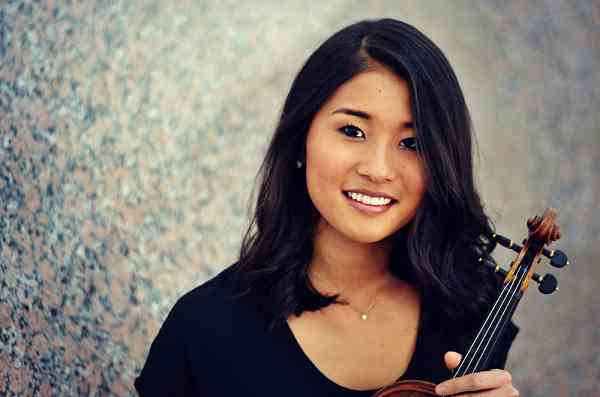 She teaches weekly private and group classes at The Heights Violin Studio; and chamber music, sectionals, music theory, and class piano at AFA Chamber Music Academy and AFA Summer Festival.